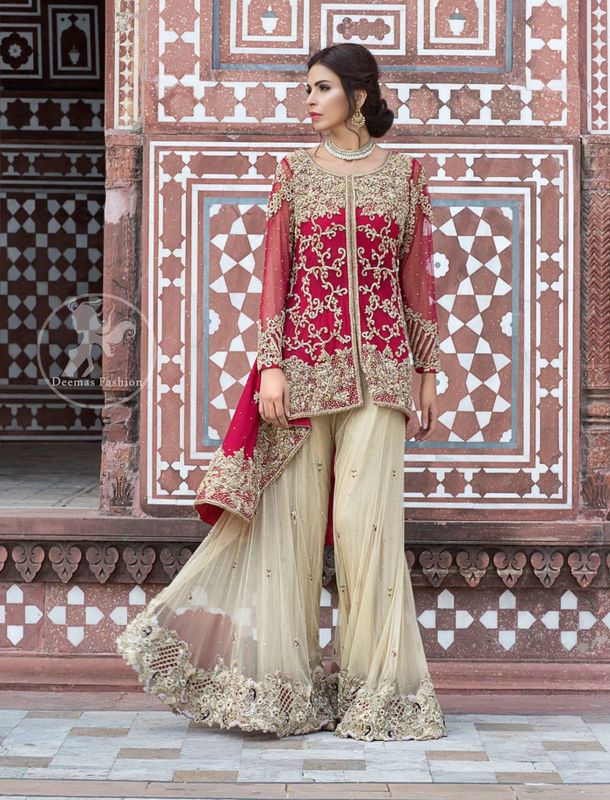 Tags: Back Trail, Beige, Deep Red, Front Open, Gown, Sharara, Short Length. Short length sheer gown features beautiful embroidery on bodice and hemline. Embroidered border implemented at back trail. Pearls and crystal stones sprayed all over the back. Embroidered jaal scattered all over the gown. Sheer full sleeves with large embroidered motif and border.